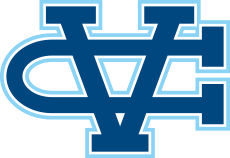 Mountain View, CA - Valley Christian Track & Field traveled to Saint Francis High School Saturday to compete in the WCAL Trials. The Warriors put up 51 marks collectively that advance to Friday's finals. Two finals contested on the day was the JV 3200 and High Jump. Jordan Hahn set the table with a win in the girls 3200 meters in 12:06.18, a 30 second personal best. Her time ranks #11 all-time in team history. Yvonne Ma also put some points on the board with a 4th place finish in the girls high jump. Ma was one six athletes that all tied at 4-4 for the top mark of the day that ultimately went to a tie-breaker. There were many outstanding marks on the day including 40 season bests and numerous heat wins. The Warriors have an athlete in the finals for every event heading into the finals. The sprints were a bright spot placing 12 athletes in the finals for the the 100 and 200 meters alone. Charlie Bostic is the team's top seed in both events, entering #2 in the 100 meters with a time of 11.01, he is the top seed in the 200 meters with a time of 22.09. Fallon Dexheimer is the top seed in both the 100 and 200 meters in the JV division. The Freshman finished the 100 in 13.02 and the 200 meters in 27.33. Hurdles was just as stellar. D'Angelo McKenzie won his heat in 15.12, Freshman Kevin Puorro advances in the Frosh-Soph 65 Hurdles and three girls are moving on to the 100H final. Nicole Hobaugh is the #3 seed after winning her heat in the 100 hurdles in 17.83. She is joined by Alexis McMahon and Jessica Hanjojo, who advance in the 100H & 300H. Ashley Clayton will be one of the top entrants in the 800 meters after finishing the varsity girls race with the second fastest time of the day running a personal best 2:24.74. The Warriors advance four entries in the JV girls race. Christine Albrecht ran a strong preliminary round running 2:29.60, a five second personal best and her first run under 2:30. She is the #2 seed entering the finals. Albrecht will be joined by Sophia Patterson, Maylene Aguilar and Jordan Hahn who all ran 2:38. Representing the boys in the middle distances: Sam Cuevas advances in varsity boys and Jake DeMoss in the frosh-soph boys. The Warriors compete in the WCAL Finals at Saint Francis High School on Friday, May 12th. Field events start at 3 pm, Running events at 5 pm.